Statistics tell us you likely will have multiple jobs or careers in your lifetime. So it's important that you begin preparing the day you step onto the St. Cloud State University campus. 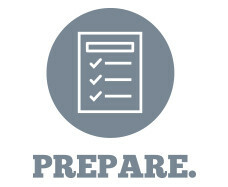 Learn how to start the preparation process. Connect with local employers for career coaching. Prepare for upcoming job and internship fairs. Developing the best résumés, cover letters and other job application materials. Networking to create a strong network of employment contacts. Successfully interviewing for the job you want. Understanding salary expectations and negotiations. Check out our CandidCareer and CareerSpots videos to help you get started.